We've got you covered. This tour is perfect for those short on time, yet wants to see more of what Victoria has to offer. 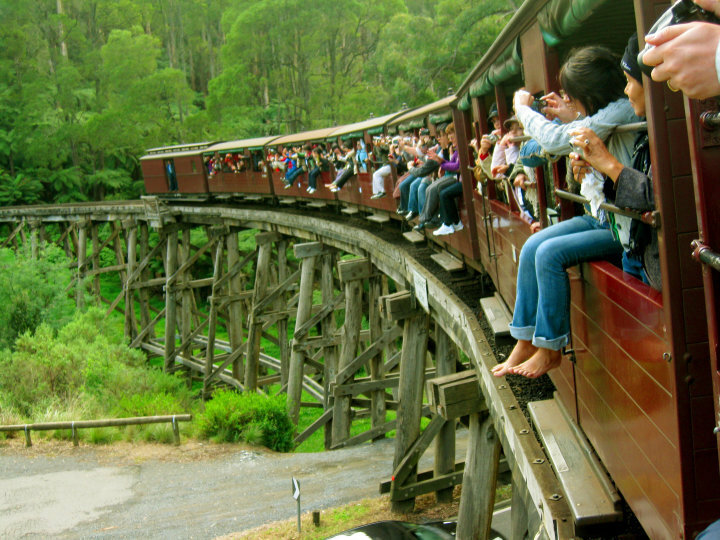 Begin your day off with a delicious morning tea that will surely put a spring to your step, then experiencing a relaxing ride on the exquisite steam train at Puffing Billy, Australia’s oldest steam railway. Then come back into the city for a short break, before rejoining us to continue onwards to Phillip Island. Here, you'll watch the amazing phenomenon of the Little Penguins waddling up to the Summerland Beach and making their way to their burrows in the dunes each night, a ritual that has been followed for thousands of years. Your perfect day out is a click away.